Don was born in Brentford on November 28th 1928, the firstborn of Frederic and Kathleen Goodwin. The story goes that Don's father (who was a superb footballer) was playing in a match that day: and when the news came through that he had become a father, the crowd burst out cheering. Don certainly enjoyed recounting this story: he was very proud of his father and always had a great love of football. Don was a happy boy and by the time he went to primary school the family had moved to Welling in Kent. He enjoyed school life, excelling in English and History. He also had an aptitude for Art. Subsequently he was awarded a scholarship at Dartford Grammar School which was a proud moment for his parents. They hoped he would gain the right qualifications in order to pursue a career in local government. Don had other ideas however. His grandparents worked on a farm in Oxfordshire and Don loved spending summer holidays there, where he helped as much as he could. This inspired him to reject the calling of county council meetings and try to become a farmer himself. So when he left school at 16 (with good O level results) he went to the Kent Farm Institute at Sittingbourne. He had two very happy years there and always spoke fondly of that time. One of his tutors was the father of Yvonne Martin! He learned as much as he could about farming, both practically and theoretically, as well as forming life long friendships. With good references, Don began his career working at a nursery near Chelsfield where he enjoyed cultivating the strawberries in particular. The variety in question was Royal Sovereign. He was still living with his parents in Welling at this time. His daily commute to work was by motorcycle. Motorcycling became a lifelong passion for Don – despite a close call which involved sliding underneath a coal lorry in the snow and emerging uninjured ! He made new friends with fellow motorcyclists and enjoyed track days at Brands Hatch and a visit to the Isle of Man TT. He became very skilful at motorcycle maintenance and was generally mechanically minded throughout his life. The most important event of Don's life happened in January 1950. At a dance in Bexleyheath he met Patricia Johnson. They fell in love very soon and after a happy year's courtship they married at St Paulinus Church, Crayford in March 1951. Don's parents had bought a smallholding near Okehampton in Devon. Don and Pat moved down there to help. Times were not at all easy for them; en route they had to spend their final £5 on a new tyre for their little Austin car. They both worked very hard on the farm for two years, working with livestock. Don found that he missed being a grower and in 1953 they moved to Longread in Barming, which was owned by a Miss Noakes. Here Don and Pat worked growing fruit, vegetables and hops. They enjoyed the company of the other staff there. In 1955 with good references again, Don was able to rent a farm from Kent County Council near East Malling. He decided to call it Hillberry Farm as Hillberry is a famous point on the Isle of Man TT circuit. Here they grew runner beans, strawberries and raspberries and also kept pigs. They became very fond of the pigs. In the summer if the pigs got sunburnt they rubbed them with soothing calamine lotion. After five years they stopped keeping pigs as they felt too much like pets ! In 1963 they had saved enough money to buy their own farm just down the road – Luckhurst Farm. They had more land at Luckhurst and made the momentous decision to concentrate on strawberries, with some raspberries. They dug a reservoir and invested in irrigation. This is regular practice nowadays but was really innovative in the mid 60s. He then employed a good team of fruit pickers from East Malling and he bought a second hand luxury coach to ferry them to and fro. He also provided facilities for the pickers' children such as a play area, with a sandpit. 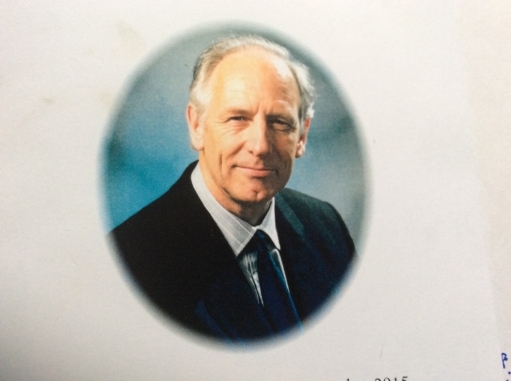 He enjoyed life in East Malling where he worked closely with experts in fruit production at the research station. And he was very pleased to be a churchwarden at St James' parish church. In 1967 they moved here to Court Lodge Farm where they grew apples, pears, raspberries and strawberries. Again he installed irrigation and added an extra cold store for the apples and pears. He really enjoyed working with his team of full time staff. He needed to buy another coach as the workforce had grown to include pickers from Maidstone and Barming. as well as his loyal East Malling pickers. Nigel thought that Don enjoyed these years the most in his farming career: he was fully involved in all aspects of the farm and there was a real sense of teamwork. The farm was a success –it was an exciting time. He was able to buy extra land at Pelican Farm for strawberry runner production, and in 1978 he purchased a farm in Sussex where he put in 20 acres of strawberries and raspberries. In 1970 he went on a tour of Europe observing farming practices – interested in different or new ideas that he could use, looking to try growing new strawberry varieties. He was a genuine strawberry enthusiast. He became a guest speaker at conferences. He was chairman of the Maidstone branch of the NFU. Then in 1972 he became chairman of the newly formed Kentish Garden group. He was particularly proud to be involved with Kentish Garden. He viewed his fellow growers with affection; and was both inspired and also reassured by the high standard of fruit production in the group. The Kentish Garden group went on a trip to California in 1973. Don found this trip to be interesting and informative and returned to California on three subsequent occasions with Pat. Don was awarded the MBE for services to fruit growing in 1983. Judging by the letters and phone calls of congratulation this MBE was well received by his peers. Don decided to stop farming in about 1995 – he had achieved so much and the office and paperwork side of farming was increasing. From 2005 onwards he gradually became a devoted carer for Pat. Don's other great lifelong hobby after motorcycling was classical music – and he really enjoyed practising his Hammond organ whenever he had time. He took lessons and once played for the midnight service at West Farleigh Church. Another aspect to Don was his love of animals. We've already mentioned the pigs – he and Pat had a succession of much loved German Shepherd dogs – five in all. Don cared about the wildlife on the farm: he worked with experts on owls who installed special owl boxes for barn owls on the farm. He lived in hope of an otter turning up in the specially built holt the wildlife trust built here. And especially in his old age he took daily delight in watching the wild birds on the generously filled bird feeders. And for a few years a fox or two would be waiting every evening for him to come out and feed them their supper. He was a man who greeted challenges with a cheerful optimism and usually overcame setbacks by not acknowledging them. His characteristic laugh will surely be remembered, by everyone who knew him, with huge affection. Narrative taken from the Eulogy given by his son Nigel at Dons funeral.